Samuel Beckett’s single-voice Texts for Nothing had never been intended for the stage and, for this reason, lack the usual rigorous author’s stage direction. 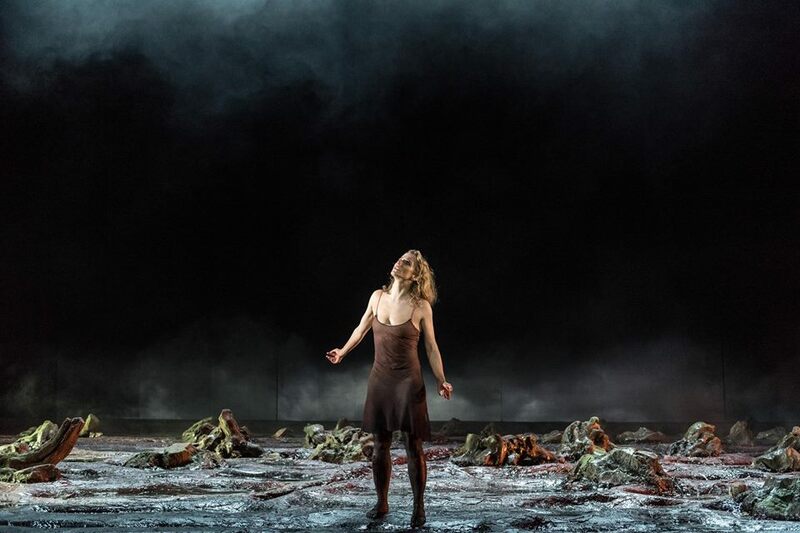 Nonetheless, theatrical wonder Lisa Dwan embarked on the challenging task of co-directing and performing its adaptation No’s Knife, presented at the Old Vic for its world premiere. 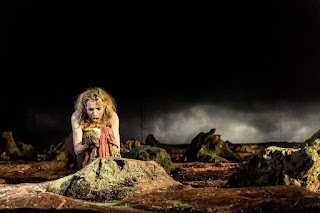 Despite the power with which Beckett’s words take shape through the voice and silences of the actress, I’ve found the speech quite hard to follow, with its meaning hidden behind broken sentences and many rhetoric questions. In the writer’s style, this reflects the attempt to come to terms with the horrors of the second world war and his dramatic direct involvement with the French Resistance. It is, in fact, during this period of transition that Existentialism became one of the intellectuals’ ways to explain the war, the Holocaust and the totalitarian regimes. ‘Where would I go, if I could go, who would I be, if I could be, what would I say, if I had a voice, who says this, saying it's me?’, reads the opening of the monologue, referring to some of the questions that Existentialism tried to answer, like the meaning of existence, the right to exist and what is beyond existence. nonsensical dialogues that rely on clichés, wordplay and are based on the comic effect of real-life tragedies. The whole insistently built in circles that recall the repetitiveness and insignificance of human interactions. As a reader, I’ve always found it easy to relate to this literary aesthetic of disruption and nothingness but, as a spectator, I found Beckett’s text particularly tough. The effort to decipher a cryptic soliloquy in what is not my first language is worsened by the overwhelming stillness of the performer, who restrains her movement to drag all the attention to the spoken word. 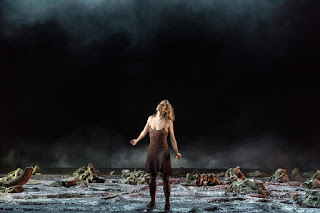 Lisa Dwan and co-director Joe Murphy exploited the absence of body language to enhance the sense of emptiness but my impression is that this deprives the play of its essential punctuation. element. Projections, rolling mist, echoes and disembodied voices fit impeccably within Christopher Oram’s arid and desolate set, in which the woman stands, sits or perches with her bleeding legs and a very simple brown dress. A particular mention goes to Vanstone for exploiting the bold proscenium arch to provide a golden framing to the closing lines. No’s Knife outcome is ambitious but overall arguable and all the creative talent and spectacular staging struggle to convert an intimate script suitable for a studio into a mainstream show that aims to fill a one-thousand-seat auditorium.